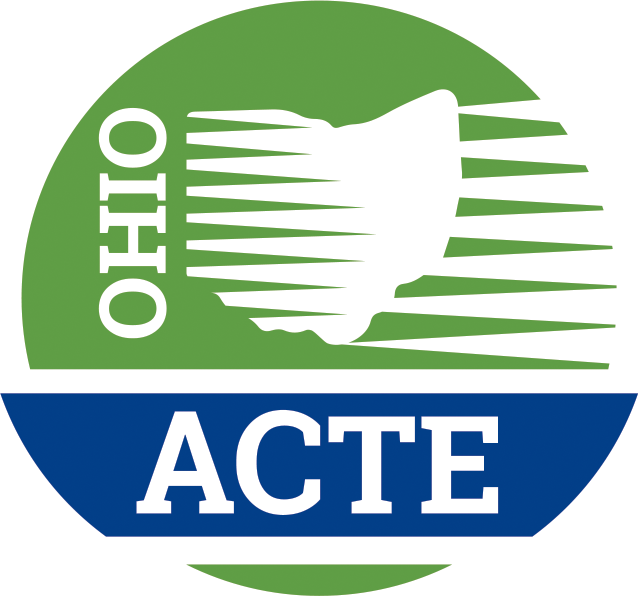 Ohio ACTE and t he Ohio Ophthalmological Society are partnering once again to offer FREE safety eyewear for students in programs requiring the use of eye protection. This program is possible as part of a grant from the Ohio Department of Health to promote eye safety and to encourage students to use protective eyewear in activities outside of the classroom as well. Applications must be completed by May 31. Letters will be sent in early June to each applicant to let them know how many pieces of equipment to expect. Equipment will ship in August to the address provided. In order to participate, schools must agree to provide safety information to students and participate in a survey. It is open to all schools and is not needs-based. Since the inception of the program in 2009, more than 200,000 protective eyewear pieces have been distributed. Programs benefiting from this partnership include: Automotive, BioMedical Science, Arts, Building and Grounds, HVAC, Dental Assisting, and more. The Ohio Department of Education is looking for help from health educators and healthcare professionals to review and revise Ohio’s career-technical learning standards for the Health Science Career Field. This will have a direct impact on the skills students are required to learn as they pursue careers or paths to postsecondary education in the Health Science Career Field. Please follow this link to find the survey to review the standards. Please provide insight in your areas of expertise. Feel free to forward this request along to industry professionals or other experts you feel should provide feedback. The Health Sciences Standards Survey is open for public comment until May 10. Please email questions to Graham Wood or call (614) 728-2164 for further information. Recent Ohio law brought about changes to the Ohio Teacher Evaluation System (OTES). The Ohio Department of Education plans an OTES pilot to gather feedback on the draft revisions to the OTES process. The 2019-2020 pilot based on the revised draft OTES now is open to all districts and community schools that want to take part. Districts and community schools that want to participate must submit completed Intent to Participate forms by June 1. These participating schools must bring small teams to three regional trainings throughout the 2019-2020 school year. Evaluators and teachers will use the components and forms associated with the revised draft OTES to inform possible changes to the OTES model, as well as help shape training for the 2020-2021 implementation. U.S. Education Secretary Betsy DeVos visited Butler Tech on April 12, touring the campus and speaking at their Manufacturing Recognition and Signing Day Celebration. Participating students were recruited by 28 local businesses and will be signing their contracts during the private ceremony. 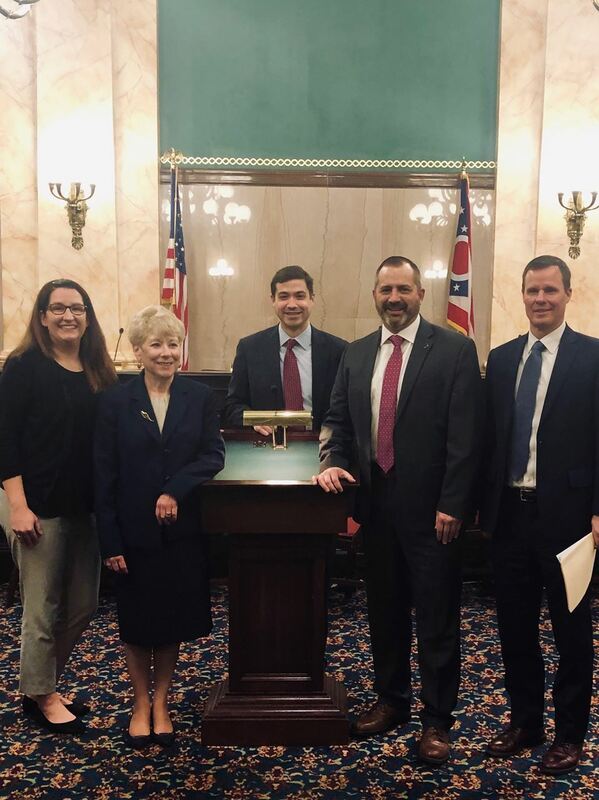 Butler Tech is one of Ohio’s largest career school systems and has been praised for working intensively with local industry to develop the trained and certified employees they need. “We are excited that Education Secretary DeVos is joining us to celebrate our students who have obtained certifications and a set of skills through apprenticeships with local businesses,” Butler Tech Superintendent Jon Graft told the Dayton Daily News. If you have any questions, please contact Robert Kornack at Robert.Kornack@education.ohio.gov. The 2019 Connections to Education Conference session title, description and presenters is available here. Sessions include ODE information, STEM related best practices and career-technical and adult education topics, as well as keynote and featured speakers. Members of the career-tech community, Bill DiMascio, Lakewood City Schools; Greg Edinger, Vanguard-Sentinel Career Center; Nancy Luce, Upper Valley Career Center; Brooke Click, Penta Career Center testified on various components of Senate Bill 89, which seeks to alleviate provisions that impact career-technical education. Will Vorys, attorney with Dickinson Wright and legislative counsel for Ohio ACTE also testified in front of members of the Senate Education Committee. Read a Committee report here. Watch the testimony here. CTE portion starts at 20:20. The second annual In-Demand Jobs Week is May 6-10! In-Demand Jobs Week is a statewide celebration of jobs, industries and skills that are in-demand in Ohio. Business, education, and community leaders statewide are encouraged to partner to plan engaging events and activities that will inspire excitement and awareness among students and job seekers. In-Demand Jobs Week is an opportunity to learn more through local events and activities about the rewarding and high-demand careers available right in your own backyard. To learn more about In-Demand Jobs Week and to view the Event Map, visit omj.ohio.gov/indemandjobsweek. With questions or other concerns, please email Workforce@owt.ohio.gov.